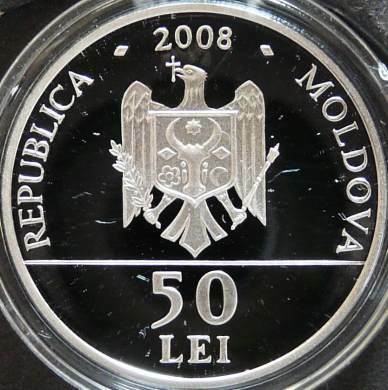 The coin belongs to the series Monuments of Moldavia, together with the 50 lei coin from 2009 featuring the Struve geodetic arc, with the 50 lei coin from 2010 featuring the Orheiul Vechi nature and cultural reserve and with the 50 lei 2012 coin featuring the Soroca Fortress. 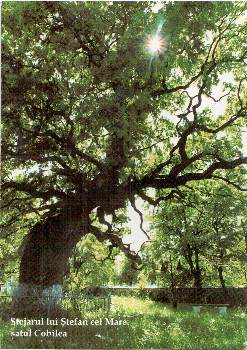 The century oak tree inside the churchyard at Cobîlea, a vilage near the small town of Şoldăneşti, is approximately 700 years old. The village is also very old, being mentioned into a diploma from 1456. 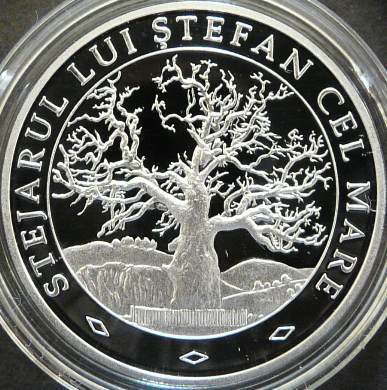 The legend has it that next to the village of Cobîlea, prince Stephen the Great defeated the preying Tartarian hords. After the victory the great voivod raised a wooden church, next to an oak at village's edge.